CMIT Elementary School North Won the Regional Mesa competition! It is with great pleasure to announce that Mrs. Linda Caler is our February Volunteer of the Month. She has provided excellent support to our third grade team and our school as a whole. 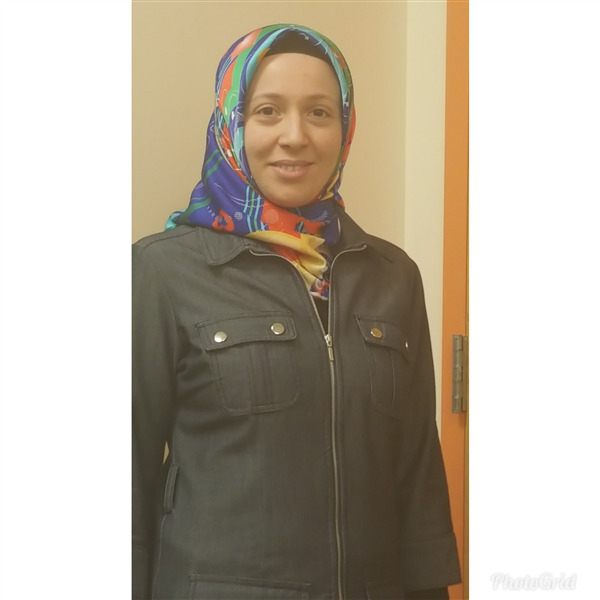 She has shared and implemented great ideas to enhance our school's culture by organizing our Teacher and Staff Appreciation Week and our end of the year celebration. She is a member of our PTO. We are so lucky to have her because her quality of work is nothing less than excellent! 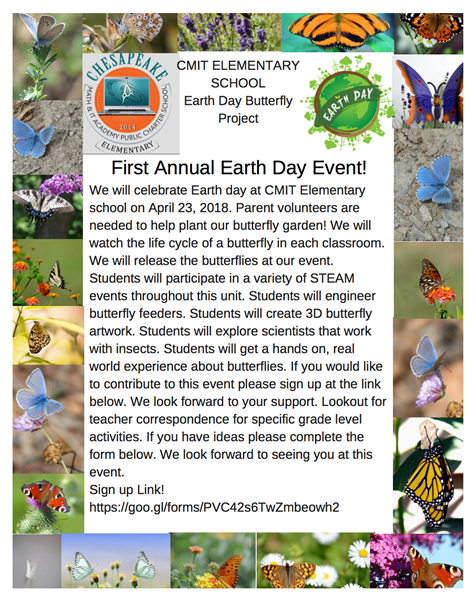 On April 30, 2018 CMIT Elementary will be having our first annual Butterfly/Earth Day event. Please sign up to volunteer for our event below. If you have already signed up please plan on attending the new date on April 30th. Please turn in any donated supplies by April 27th. Thank you. CMIT Elementary students had a great victory in their MESA Club competition. They will proceed to the State competition. 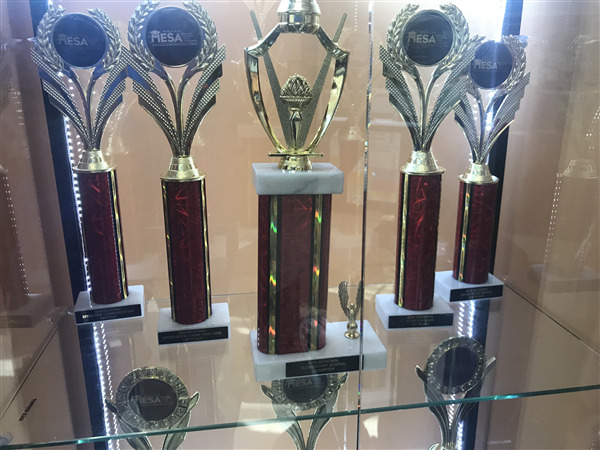 The state competition will take place on May 5, 2018 at the Johns Hopkins Applied Physics Laboratory located at 11100 Johns Hopkins Road in Laurel, MD. The event will run from 9:00-2:30pm. All club members are invited with parent supervision. Thank you! We have to thank all of our parent supporters. Especially Mr. Carpenter who helped students understand sketch up, gave ideas, and donated materials to our Story book theme park ride competition. Thank you to Ms. Ahmed for all your guidance with the bridge group. Thank you to Mrs. Ozturk and Mr. Tekin for coming out to our competition to support us. Thank you to Mrs. Asafo-Agyei for your constant support of our scholars. We are super excited about this win. We could not have done this without the support of our CMIT Family. 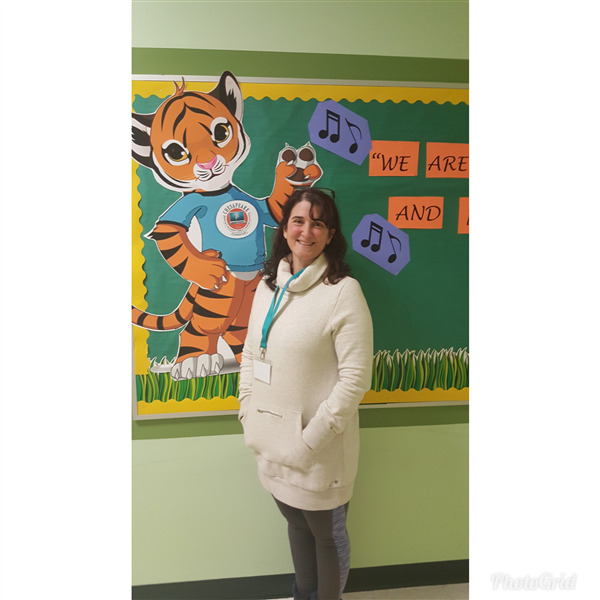 Congratulations to Mrs. Inci (Kosclan) for being chosen for Teacher of the Month for February. She is one of our 4th grade math teachers. She is also our Math team sponsor, which performed very well this year in the math competition. She is a great resources for her teammates. She encourages her students to do their best, and she is always willing to receive feedback. Way to ROAR! Spring has sprung despite the fact that 'Old Man' Winter wanted to spoil it. Spring brings beautiful fresh air, flowers, bees and butterflies. Unfortunately, the season also brings discontent as we strive to survive bouts of allergies that show up in the form of dry/runny nose, headaches, itchy and watery eyes. Wanting to escape to that special place and space, we dream of days away from the confines of the schoolhouse and school work. 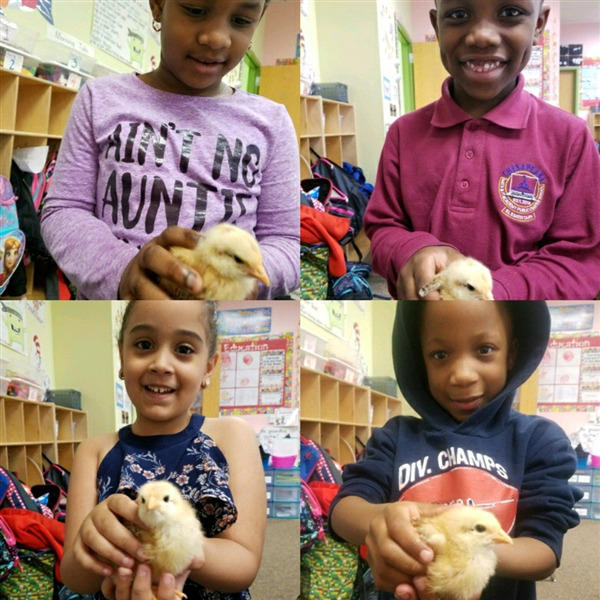 Our scholars are thinking about summer now, so we need all the support we can to help them end the school year on a positive note. Please remind them of the family values and beliefs that you all share, and encourage them each and every morning to follow class/school rules and learn as much as possible. Your dedication to this cause today, will help create the joys you are hoping for tomorrow. 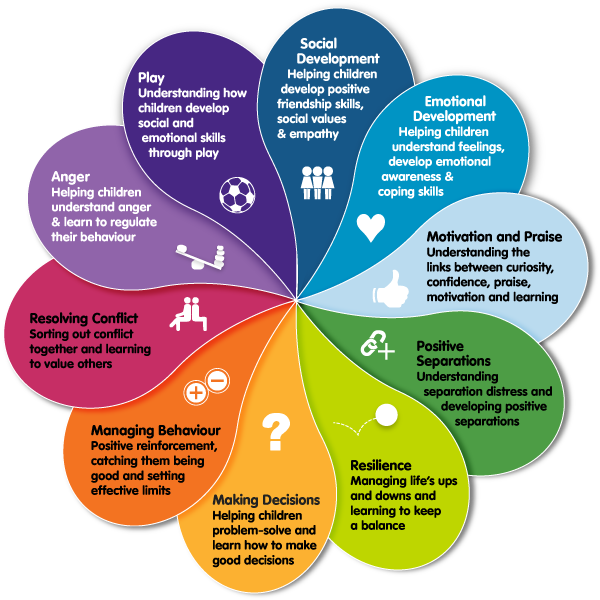 Thanks so much for the support that we are already receiving from many of our parents-your children's behaviour tells it all. You cannot lose from investing in the total development of all our children. We will read the story "Goldilocks and the Three Bears." It is the iconic story of the little girl who rummaged through a bears house! We will be working on character and review parts of a sentence. We will also be learning all of the /g/ sounds. We will continue to work with addition and subtraction. We will continue to explore life cycles. Currently we are exploring the butterfly and chicken life cycles as we observe both first-hand in our classrooms. -Port Discovery field trip is set for Tuesday, April 24th. -Kindergarten promotion is set for Tuesday, June 12th. - Homework is due on FRIDAY each week. Homework that is not submitted by the due date will be given a ZERO. For reading, next week we will be reading Chickens Aren't the Only Ones. We will be learning about viviparous and oviparous animals. they will also write their own nonfiction texts about oviparous animals. Students will also be looking at decodable stories and picking out vowel sounds, digraphs, and syllables. For math, students will begin learning about measuring length using nonstandard standards. Students will use blocks, paper clips, bears, etc to measure different objects. For Social Studies, students will continue to learn about natural resources on Earth. How do we use wood? How do we reuse and recycle items? Spring is here, and we have been learning so much about life science. We are observing butterflies and insect life cycles as part of our Butterfly Unit. The Butterfly Release date has been changed to Mon. April 30th as we needed more time due to the weather conditions and slow-growing caterpillars! Our book projects are being sent to the publisher and should be in by the end of Quarter 4! You will have a chance to order a copy then if you haven't done so already. 2nd grade does not partake in PARCC testing, but the testing that is coming up includes NWEA MAP testing from 5-7-18 to 5-18-18 and DRA reading assessments for the end of the year. Next week scholars will be taking the reading portion of PARCC on April 24, 25, and 26. It is imperative that your scholars arrive on time, well rested and well nourished, testing will begin at 8:15am. If your scholar is absent any day of testing, there will be a make-up day. 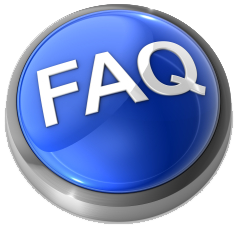 If your scholar has not already brought in headphones, please have them bring them in as soon as possible. 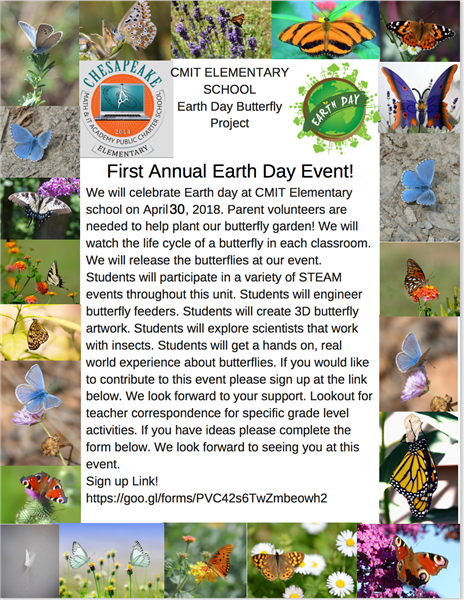 The Butterfly release has been postponed to April 30, we are still in need of volunteers. Please contact Mrs. McCain. Read the question carefully. Then reread the passage. Examine every answer choice before you choose. X-out answers that you know are wrong. PARCC testing will take place on April 24-26 and May 1-4. Testing will take place in the morning beginning promptly at 8:15 AM. Please make sure that your student is on time for school and eats a healthy breakfast! 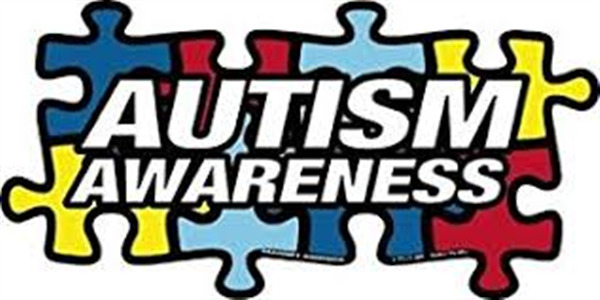 We are also asking that students bring in their own headphones to use for testing. Students should bring in their headphones in a plastic bag labeled with their name and give them to their teacher! In Reading we worked on Authors Purpose, Identifying Scientific text and technical texts. Become aware of the various graphs and how they relate to reading comprehension. We also worked on Breaking down writing prompts to understand. Homework will be on Quill.org and also, they will receive writing assignments based on the lesson. Parents, as you are already aware the Students are taking Parcc testing next week. Math testing will take place on May 1-4. Math Make-up testing for any student who is absent will be on May 7. We are asking that students bring headphones to use for testing. Please bring them in a baggie bag with their name on it. Encourage the students to get a good night rest and eat a healthy breakfast! As we prepare for the graduation ceremony I am requesting a baby picture and a current picture of each student for the graduation slide.